Monica Brown, award-winning author of children’s literature, has done it again. 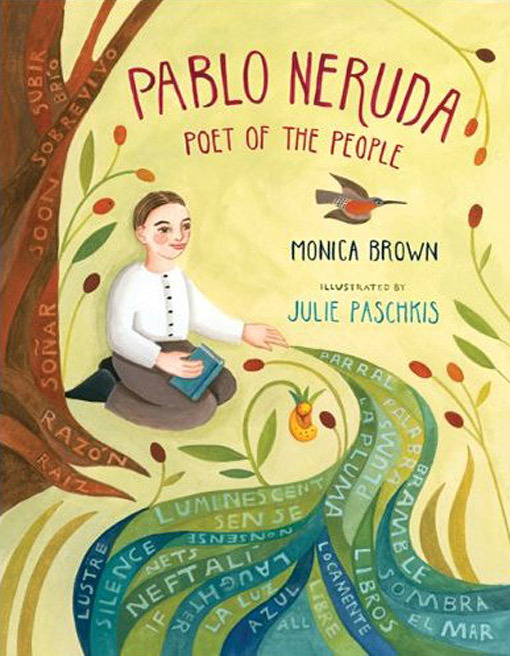 Alongside illustrator Julie Paschkis, she’s claimed the Américas Award book award for her recent publication, Pablo Neruda: Poet of the People. It’s been dubbed appropriate for grades 2-5. Want to read more? Check out Monica Brown’s website (which has a wealth of resources) or the visual richness of illustrator Julie Paschkis’s website.